By constitutional attorney John W Whitehead: History has a funny way of circling back on itself. The facts, figures, faces and technology may change from era to era, but the dangers remain the same. This year is no different, whatever the politicians and talking heads may say to the contrary. Brush up on your history, and you’ll find that we’ve been stuck on repeat for some time now. The United States of America in the year 2018 is not so far different from the United States of America during the Civil Rights era, or the Cold War era, or even the Depression era. No matter how we change the narrative, change the characters, change the plot lines, we seem to keep ending up in the same place that we started: enslaved, divided and repeating the mistakes of the past. The State of the Union: The state of our union is politically polarized, controlled by forces beyond the purview of the average American, and rapidly moving the nation away from its freedom foundation. Consequently, the state of our nation has become more bureaucratic, more debt-ridden, more violent, more militarized, more fascist, more lawless, more invasive, more corrupt, more untrustworthy, more mired in war, and more unresponsive to the wishes and needs of the electorate. 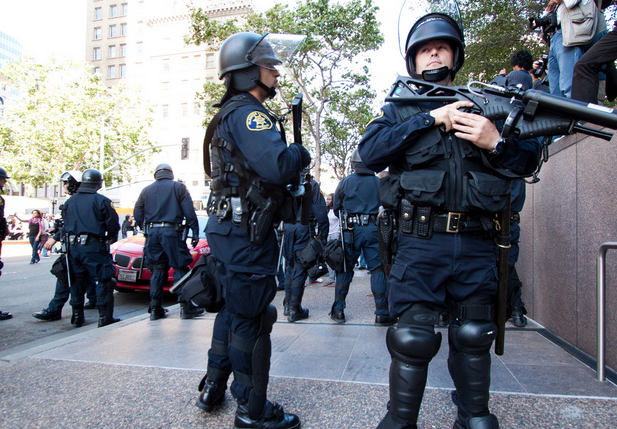 The policies of the American police state have continued unabated. The Legislative Branch: Congress may well be the most self-serving, semi-corrupt institution in America. Abuses of office runs the gamut from elected representatives neglecting their constituencies to engaging in self-serving practices, including the misuse of eminent domain, earmarking hundreds of millions of dollars in federal contracting in return for personal gain and campaign contributions, having inappropriate ties to lobbyist groups and incorrectly or incompletely disclosing financial information. Pork barrel spending, hastily passed legislation, partisan bickering, a skewed work ethic, graft and moral turpitude have all contributed to the public’s increasing dissatisfaction with congressional leadership. Law Enforcement: By and large the term “law enforcement” encompasses all agents within a militarized police state, including the military, local police, and the various agencies such as the Secret Service, FBI, CIA, NSA, etc. Having been given the green light to probe, poke, pinch, taser, search, seize, strip and generally manhandle anyone they see fit in almost any circumstance, all with the general blessing of the courts, America’s law enforcement officials, no longer mere servants of the people entrusted with keeping the peace but now extensions of the military, are part of an elite ruling class dependent on keeping the masses corralled, under control, and treated like suspects and enemies rather than citizens.